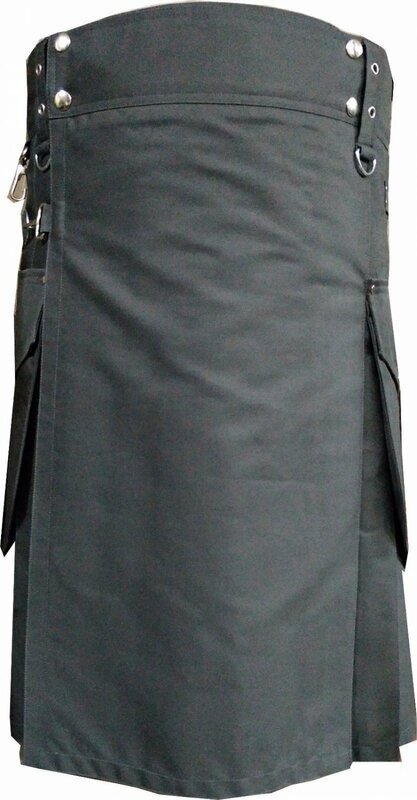 Modern kilts are typically worn at or near your jeans waist. Although, you can wear them higher if you prefer. Take the EXACT measurement of where you plan to wear the kilt using a fabric measuring tape. DO NOT measure through the belt loops of your jeans. Have on only what you would wear underneath your kilt. Round odd sizes up to the nearest even size. NOTE: If you are not satisfied with your purchase for any reason, please contact us to resolve the issue before leaving negative or neutral feedback. We assure you that your query will be dealt at our first priority and to your satisfaction.